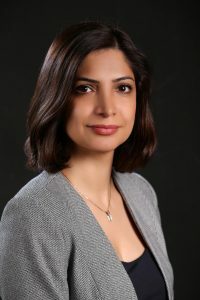 Elham is an Immigration Attorney with the Law Office of Daniel Shanfield Immigration Defense, PC where her passionate advocacy, legal counselling, and successful representation in crimmigration cases have endeared to several clients. Elham is a consummate lawyer specializing in complex Nationality and Immigration Law with extensive expertise in removal defense, custody, and resolving family-based immigration issues, including asylum, adjustment of status, and naturalization. She has represented her clients to fight family separation and help them to keep their families together. While still a student at the Penn State Law Center for Immigrants’ Rights, Elham has taken an active role in developing immigration solutions specifically designed for non-citizen victims of crimes. Her storied involvement in immigration issues has led her to be interviewed by the Voice of America and other media outlets. After earning her Master of Laws (LL.M. ), Elham pursued several entrepreneurial and creative initiatives. She has founded a non-profit community-based forum for Iranian residents in Philadelphia and co-founded a few small businesses. Her volunteer work with the Philadelphia Bar Association received recognition from the Chancellor of the Philadelphia Bar Association and the Mayor of Philadelphia. Elham enjoys participating in local social events as well as volunteering in professional and community events. To relax after a day’s work, Elham finds the time to listen to podcasts and audiobooks and watches legal dramas and episodic series on television.